HOW DO I SELECT A PAINTING CONTRACTOR? I want to have a professional paint my house. 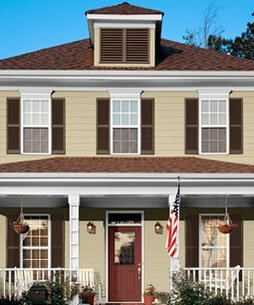 How do I find a good house painter and what information should I require in the quote? Those are both good questions. 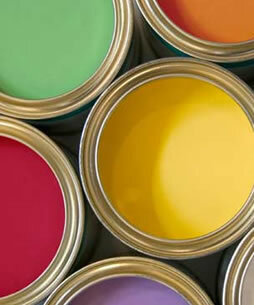 To find a good painting contractor, ask friends, neighbors or call us for recommendations. Once you're ready to talk to the painter, ask for and check references. When they give you a quote, get a firm price and both a start and finish date, find out who will actually do the work, check to see if the contractor has liability insurance (and bonding if necessary), and never pay in advance. A bid or contract also should include a list of the work that is to be done, how many coats for each surface, the paint manufacturer and paint quality level to be used for each part of the job, the preparation work that will be done, and who furnishes the paint and other materials. Check the colors to be sure they are the rig ht colors and I n the rig ht place. Keep an eye on the project progress and advise the contractor if you have any objections. Speak up early if you have any objections. Don't wait until all the work is done to express yourself. Supervise the progress of the progress and speak up early if you see anything you don't like. Make sure the right colors are going in the rig ht place.